Changing password for user usersftp1. Note: the group usersftp1 is a dedicated sFTP group, the user usersftp1 is a dedicated sFTP user. 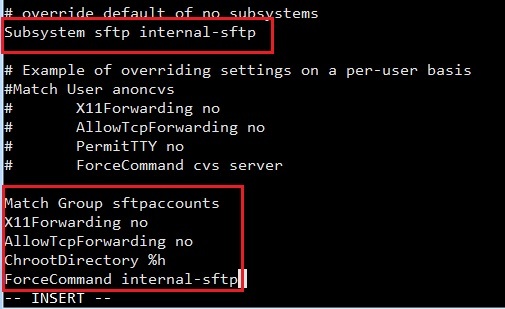 Step 5: If you want to allow the new sFTP user can use some specific directories, create them. Done! Now, the user usersftp1 can only upload and/or download files in the directory /home/usersftp1/upload and /home/upload, he/she can never access other users’directories and files.